The Norsaq is the first of its kind: a pure kayak made from our highly durable, sleek and affordable thermoformed ABS material. 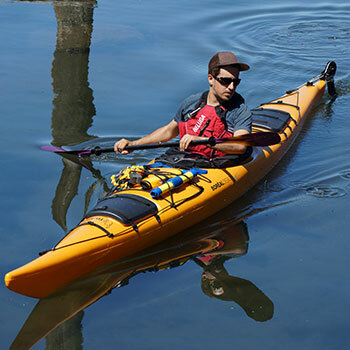 Inspired by traditional designs and influenced by the possibilities of our thermoforming construction, this kayak was designed to be the perfect boat for a mid to large-sized paddler wanting to learn the techniques of paddling. The Norsaq also works well as a very efficient touring kayak. 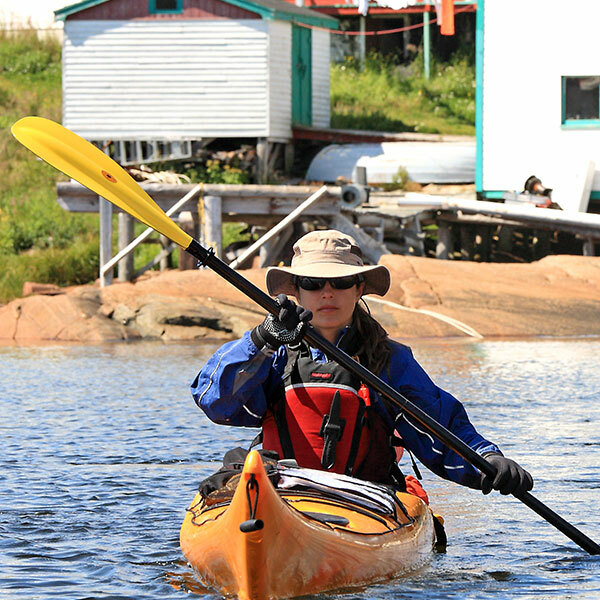 Primary stability is a reflection of how stable the kayak feels while sitting still on a calm body of water. A high primary stability is perfect for beginners, photographers and fisherman alike. Secondary stability is the stability felt while edging the boat (leaning the kayak on one side using your hips). 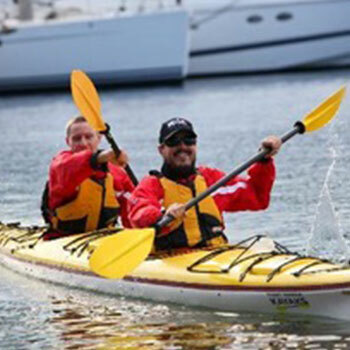 A kayak with a poor secondary will require a stronger bracing technique to edge with confidence. There is no right or wrong answer here. A kayak that tracks more (more grey) will be easy to keep on a straight course. A loose kayak (more blue) will be easy to turn on a dime and change direction quickly. This is the general speed of the kayak, combining acceleration, cruising speed, top speed and how easy it is to keep. This represents the total inside storage volume the kayak offers. Rudder equipped kayaks tend to have more storage compared to skegs that take up some space in the rear hatch. A high rating for storage is perfect for a touring paddler.